What if someone know whether you are at home by simply stealing your electricity consumption details? What if someone knows how much electricity you are using for certain appliances and sends you corresponding marketing material? What if a simple cyber attack can create blackout? Similar concerns were evoked by an author Ciara Byrne in the publication ‘How secure is the smart grid?’. The above mentioned concerns may seem impossible but this can surely happen in an insufficiently secured smart grid and to be specific in an evolving smart grid. The case of a cyber attack on the Iran’s power plants is very recent and the so called ‘Stuxnet’ worm was delivered as part of the industrial control system. So, this can be looked as an internal threat. What about external threats? 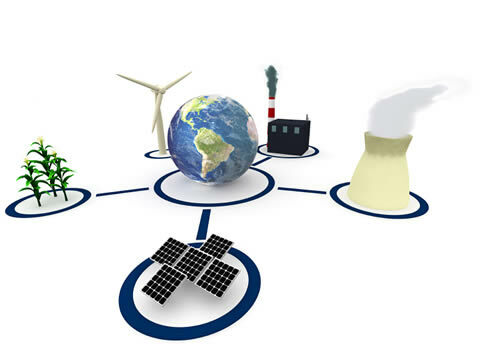 How the smart grid will be successful to prevent cyber attacks from external sources? The smart grid will be composed of an enormous number of devices of various types, from smart meters, solar panels and inverters to electrical substation equipment and sensors on electricity lines. More devices can be interpreted as more entry points into the grid which can be used as points of attack. or copy this trackback: http://engineering.electrical-equipment.org/electrical-distribution/smart-grid-and-its-security.html/trackback from your own site. We should not take things for granted especially this one. I am hopeful that the security mentioned will be more than we ever expected. The link between my electricity account and my name and address should only be at the company HQ, no need for the data to be buzzing around the internet. My meter and programmable appliances can have a code which shows no reference to who I am or where I live.